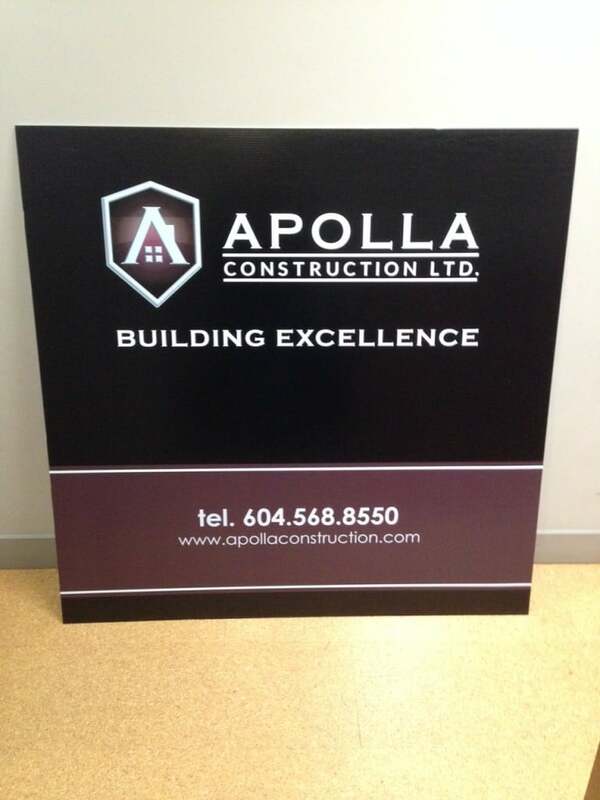 Coroplast signs are commonly used on construction sites. The construction signs provide an excellent form of advertisement for architects, developers, and construction companies. These signs can include: company logos, photos, contact information, and areas of specialization. Another use for construction signs is listing the site’s rules and regulations. Construction signs are often affixed to a perimeter fences with zap straps, but the they can also be installed on wooden frames. When using zap straps for sign installation, grommets are often placed in the corners of the sign. This will protect the sign from vandalism, while giving the sign a more professional appearance. To maximize the exposure of the construction signs, large sign dimensions are used. Typical dimensions of these signs range from 4 x 4 feet up to 4 x 8 feet.